For over 30 years Lars has been working with and sailing on a wide variety of sail, power and commercial vessels. He hopes to put this experience to use by helping to take the hassle out of purchasing or selling your next vessel. Lars started sailing with his father on the Chesapeake Bay and small ponds around Seaford, Delaware. After serving in the National Guard he traveled extensively with his brother, Carl, on their 28’ sloop and began restoring boats and working in boatyards around the Florida Keys. He provided everything from bottom paint and repairs to high-tech marine topside coatings, electrical wiring and sailboat rigging. During this time, he also crewed and skippered on many vessels including a trans-Atlantic voyage in 1992, and as 1st Mate for a year aboard the 79′ day charter schooner “Jolly Rover’ in Lewes, DE and St. Pete Beach, FL. Always fascinated by the art of sail making, Lars accepted an internship at Quantum Sails in Marathon, FL where he learned about traditional handwork, high tech sail cloth, sail shape and yacht racing. Sail making led to canvas work and eventually to Fountain Power Boats where he supervised the design and construction of exterior canvas products. 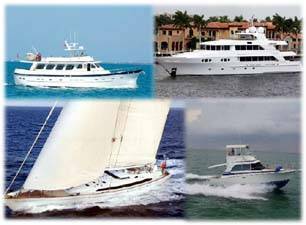 Then on to West Palm Beach, he worked on various yacht canvas projects before settling in Wilmington, NC to start his own sail loft/canvas shop. Lars and his wife, Carrie operated the store for 6 years. After 20 years in sails and canvas, it was time for something new. In 2016 Lars and Carrie closed their business to pursue a carreer in yacht sales. They sold their house and moved aboard their 43’ Gulfstar with their three daughters. 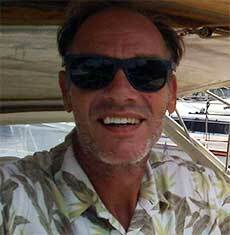 Lars has recently completed training to become a certified yacht broker and is ready to work with you. Whether buying, selling or trading your power or sailing vessel, Lars is committed to providing you the best possible experience. Reach Lars by phone at 910-899-7941 or by e-mail: lars@curtisstokes.net.